This was the first coast-to-coast total solar eclipse in the US since 1918. 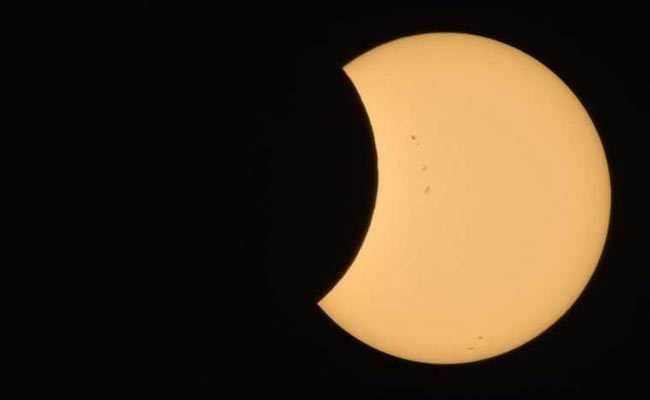 Millions of Americans gathered yesterday to witness through protective glasses, telescopes and cameras, the first coast-to-coast total solar eclipse in the US in almost a century. The last time any area witnessed a total solar eclipse in the US was in 1979, while the last coast-to-coast total eclipse happened in 1918. 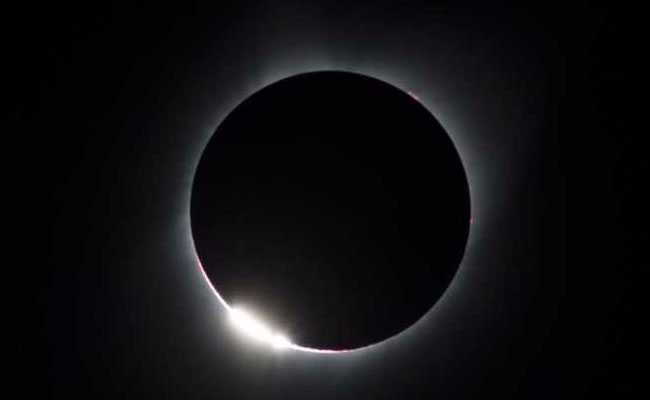 The total solar eclipse occurred over a 70-mile-wide (113-km-wide), 2,500-mile-long (4,000-km-long) zone, which is home to around 12 million people, although many more travelled to witness the spectacle. The solar eclipse was predicted to draw one of the largest audiences in history, including people viewing the cosmic event through news or social media. The eclipse reached "totality" for the first time in Oregon and spread eastward. Spectators gathered at observatories, national parks and stadiums across the country to witness the moon eclipse the sun. The 15,000-seat football stadium at the Southern Illinois University campus in Carbondale was sold out for the event. People in the eclipse zone even held their own private viewing parties. 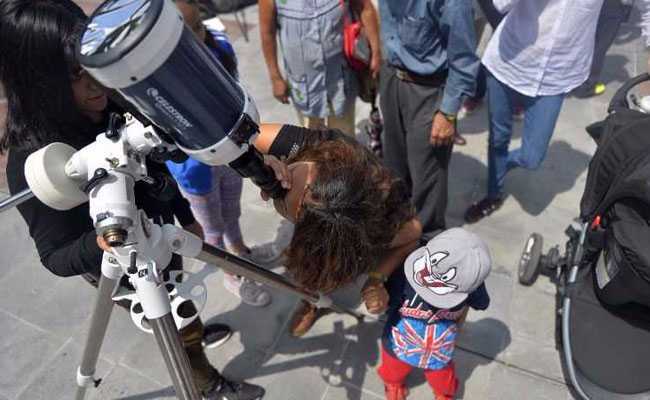 Even in states which saw only a partial eclipse, millions came together to watch the moon eclipse the sun. 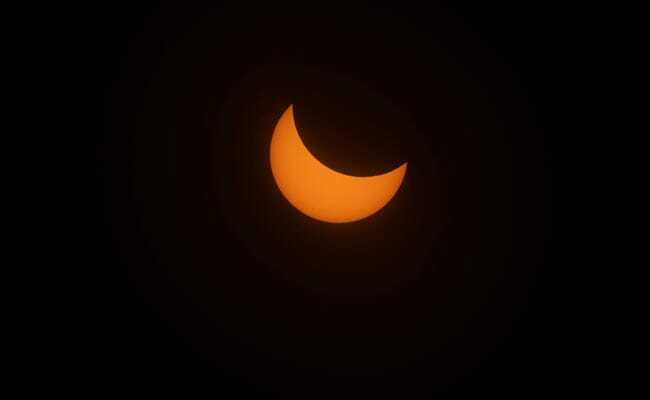 Even in Mexico, the partial eclipse was visible. 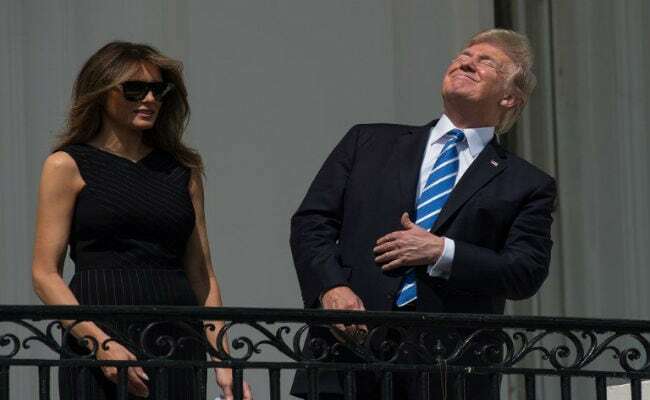 US President Donald Trump stepped out of his White House residence with first lady Melania Trump and their son Barron with protective glasses to see the partial eclipse. Vice president Mike Pence witnessed the event from the US Navy Observatory in Washington. 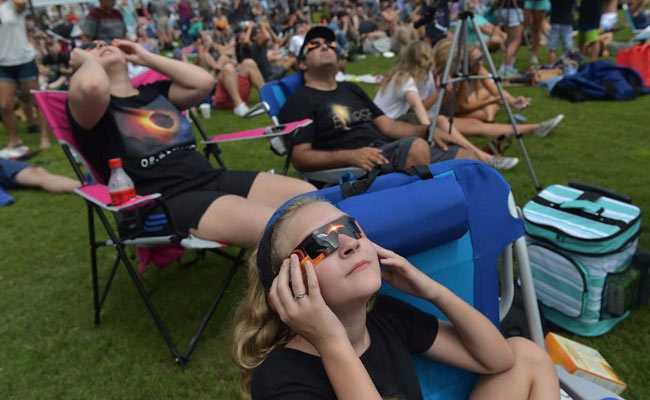 The phenomenon bid farewell at Charleston in South Carolina as sky gazers gathered atop the harbour's sea wall caught the final glimpses of the eclipse.